I'm horrified to see that I haven't howled from the tower since January 27. I believe that I have a decent excuse, though. 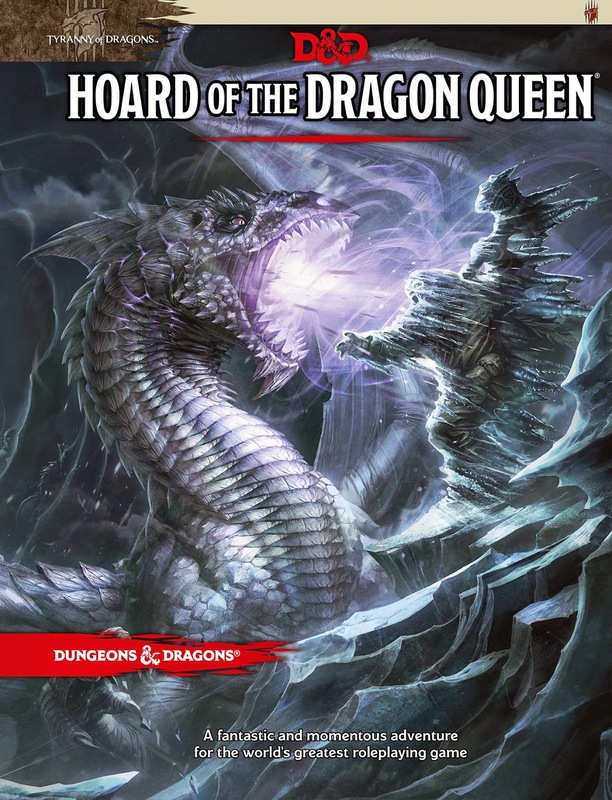 I've been sequestered while writing the premier 5th Edition D&D adventures -- Hoard of the Dragon Queen and The Rise of Tiamat, collectively titled Tyranny of Dragons -- along with Wolfgang Baur and Alexander Winter. Until recently, we weren't allowed to talk about what we were doing. Even if we had been, every word I wrote for the last many months went into those adventures. Writing for other purposes, like blogging, could only endanger the deadlines, so everything else got shelved. But now the adventures are written and I can move on to other things. I still don't have much time for personal writing -- more on that to come -- but at last I can talk about Tyranny of Dragons. And I have, over at KoboldPress.com, in some of the Tiamat Tuesday postings. My entries are "Maintaining Focus," "Tiers of Tiamat," "Closing In On the Cult," and "So You're Running Tyranny of Dragons." 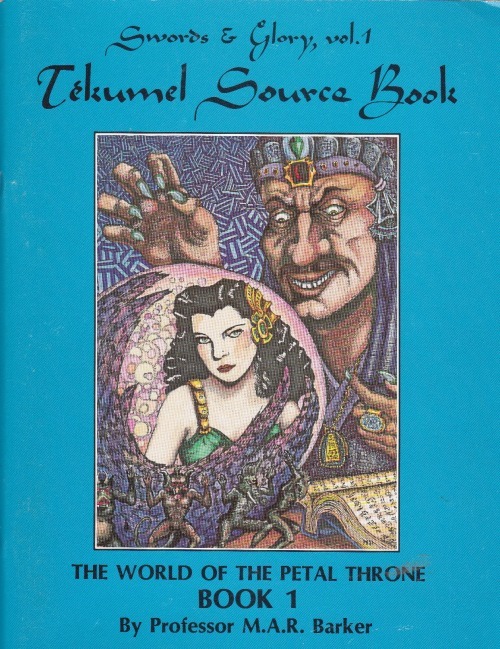 Wolfgang, Marc Radle, and Guido Kuip also chime in with essays about the Cult of the Dragon and about the illustrations and maps in the adventures. 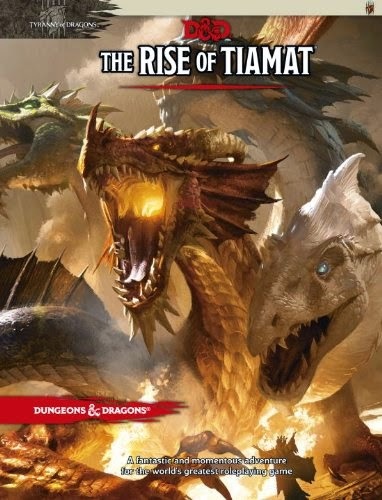 If you're looking for direction on what to expect from Tyranny of Dragons, Tiamat Tuesday is the best place to start. In other news, I'm headed to GenCon again this year, for the first time in . . . wow, it must be over 10 years. I attended a few of the early Indianapolis GenCons, but I stopped going after the year when I spent nearly the entire show sealed away in a side room playing Terrible Swift Sword with a group of fellow TSR alumni. We had a great time, but we realized that we didn't need to travel to Indianapolis, stay in dreary hotels, and struggle against constant crowds to play TSS for four days. We could have just as easily spent a long weekend at someone's house in Wisconsin or Washington, where we'd have been more comfortable and saved a bunch of money. I never went back after that year. But here it is 2014, there's a fantastic new edition of D&D, and I have the honor of coauthoring the premier adventure for it. I'll be spending much of my time in the Kobold Press booth, discussing Tyranny of Dragons (and 5E) with anyone who's interested and signing copies for anyone who wants theirs besmudged with my scribble. If you're in the neighborhood, stop by and chat. I'll also be sitting on a seminar panel: either "When the Kobolds Met Tiamat" at noon on Friday, or "Storytelling in the Realms" at 4 p.m. on Friday. I suspect it will be the first of those, or maybe it will be both, but I won't know for sure until I get to the convention. I'll also be interviewed on the official Gencon podcast at 10:30 a.m. on Saturday. Listen live if you want to hear all the scatology that will be bleeped out in the download version. Finally, with Tyranny of Dragons put to bed, I'm now devoting my 12-hour days to Necromancer Games's 5E Kickstarter. But that's a topic for after Gencon. I hope to see plenty of you in Indianapolis.